Our full-time abode, beginning May 2014. An ongoing, small-scale homesteading adventure. Down-sizing — Down to the basics — Slowing down. Your home is truly AMAZING ! Thank you, thank you, thank you for creating this awesome blog documenting your progress! My husband and I are slowly taking steps to work toward a similar dream in the Santa Fe/Taos, NM area of simpler yurt living. 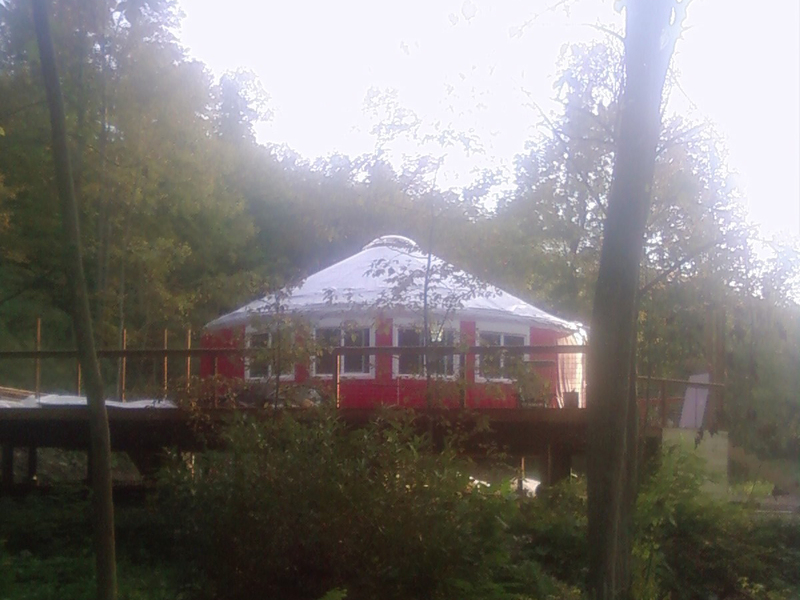 We’ll be moving there next month (May 2015) and will rent for a while as we continue saving up for land and our yurt. Your pictures over the years are very, very helpful and have helped me understand a general time-span we’re looking at to get our home created. Your place is beautiful and you have done a wonderful job surviving winter! I look forward to future posts and updates! I know you’re very busy, but I’d be grateful to hear about any particular resources (books, yurt layouts, websites, tutorials, etc…) that you found helpful in your planning process if you get a chance. I came to look at your rabbits and got totally distracted by your yurts and your process and your progress. Jennie and the two Newfoundland Dogs. Oh JC! I SOOOOO want a yurt now. This is beautiful. How is it now, that you’ve been there awhile… has the novelty worn off? Would you do anything differently? I’m curious! We just rescued this wee alpaca, took her on from some fantastic folks from a nearby farm that rescued her from dire straights... Meet Chewbacca. Thank you Celeste Arlie!